i've been wanting to write about review or tips & trick for fashion related. this is not based on my professional skill or whatsoever, but through a very amateur judgement & personal taste. my first WHATTOWEAR article will be talking about tartan. tartan is a pattern consisting of criss-crossed horizontal & vertical bands in multiple colours - wikipedia. and when you see the pattern, you'll be able to distinguish it right away. people here usually call it 'plaids' and often is dominated by the colour red. 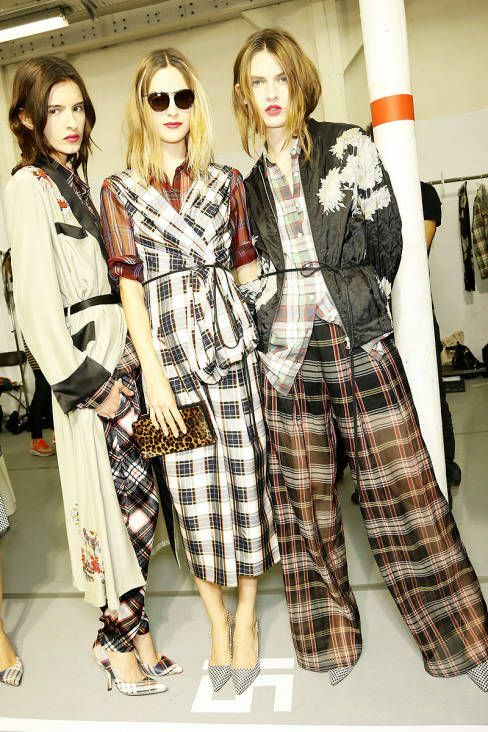 but, let's see some more inspirations on how we could style tartan in a very - fashionable - way. the tartan blazer is a classic. but this unusual looking guy with his newsboy cap & yellow backpack, is definitely an inspiration for me. tartan itself has already a stand-out looking pattern, but pairing it up with a simple (and currently hip) newsboy cap with a bright-looking backpack is absolutely a go! for me myself, i love to clash things here and there to get the vibe, feel free to do so. based on the inspiration i found above, here's a set i created for you to follow. if you like something that is not too flashy, but would love the idea of 'out-of-the-box'; why not getting a one-set tartan suit? pick the simple pattern or muted coloured ones, so it won't be looking 'too much'. this set by Giorgio Armani is a darling. i just LOVE it! here's an outfit idea you may want to follow. you love tartan as much as i do? but you are not an attention seeker? fret not, these two examples above are your answers, folks! the pattern of tartan itself highlights one's appearance & pairing it with a black shirt/ leggings calms down the entire outfit. if you want to steal people's attention through your one-and-only tartan's charm, choose a simpler friend to accompany the look. this is my suggestion, go and explore more! you love challenges? try this dare! if one tartan is not enough, then why not clash a couple pattern of tartans into one outfit? afraid of making a mess? naaah, don't worry too much, you'll look awesome. the key to ace this look is obviously by being confident! and probably, pick a similar pattern or connected colours between two/ three tartan(s). this is my favourite set, let's take a look. the easiest way to get handy with this trend is through accessories. 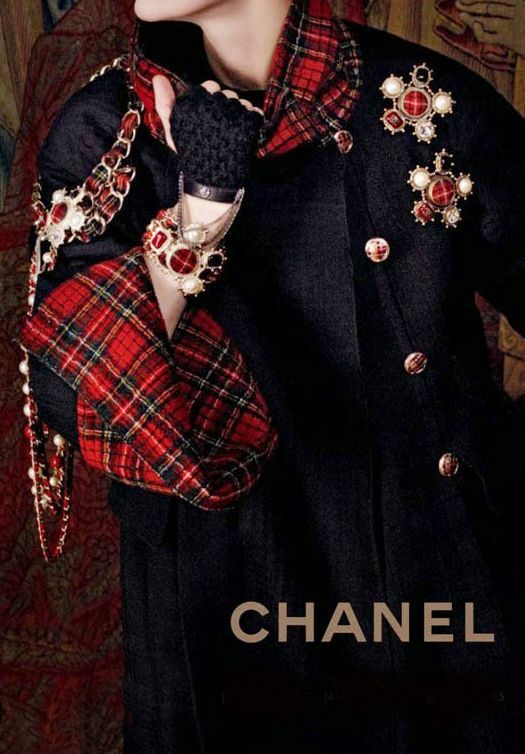 you may take a peek on how Chanel does it (photo above), but you can always create your own tartan day. here's a creation of mine that might help, enjoy! so tell me, how are you going to wear your tartan?